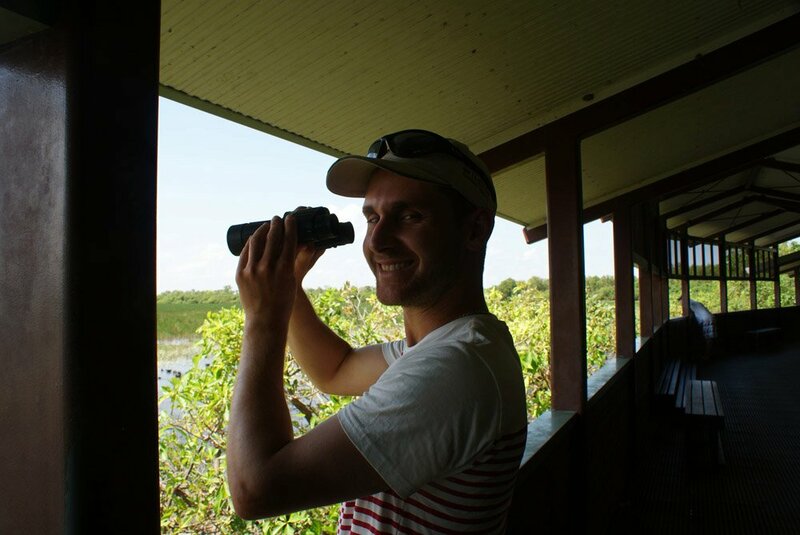 John is a PhD student at the Fenner School of Environment and Society at the Australian National University (ANU). 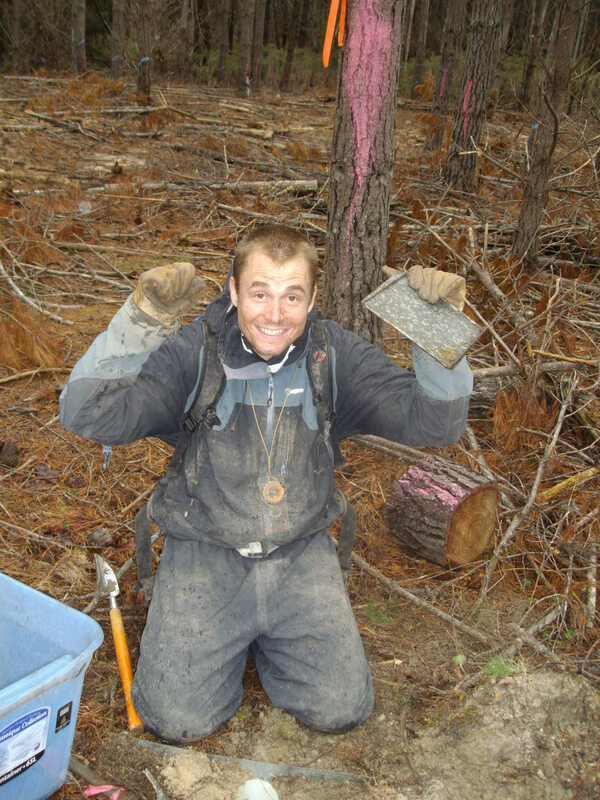 His PhD work involves exploring the world of our coleopteran cousins, the beetles. John is studying how fragmenting the landscape affects how beetles move through that landscape and whether this has anything to do with their survival or extinction. He gets to spend lots of time deep in the forest in the middle of nowhere ‘at one’ with the trees, kangaroos, wombats, gliders, cockatoos, bull ants, snakes and falling limbs. He also spends lots of time peering down a microscope trying to distinguish between indistinguishable species of beetle. After a youth misspent cheering on Derby County Football Club from the East Stand at Pride Park Stadium in the British midlands, he sometimes wonders how he managed to arrive at such a remarkable place doing such a captivating and fascinating vocation. Kathy Eyles is a PhD student with the ANU’s Fenner School of Environment and Societyand is undertaking social research to explore the relationship between urban neighbours and nature reserves. Canberra provides a unique setting to explore the many views about ways of living within a sensitive bush landscape. Part of Kathy’s research project involves interviewing people who live near reserves, people who have an interest in the planning and development of new urban areas adjoining nature reserves, and people who manage urban nature reserves in existing suburbs, including local groups and volunteers. Prior to embarking on this exciting research, Kathy has been working as an environmental planner, policy analyst and NRM facilitator, and has managed to experience a fair slice of Australia over the last 25 years, living and working in five Australian cities and a few rural towns. Kathy currently calls Canberra home and enjoys reading (plentifully supplied via her librarian partner) , her messy bush garden, raising a few chooks, walking her sausage dog and seeing the world though the eyes of her nine year daughter. Kathy also does bit of volunteering at her daughter’s school and is a parkcarer on Mt Taylor Nature Reserve. 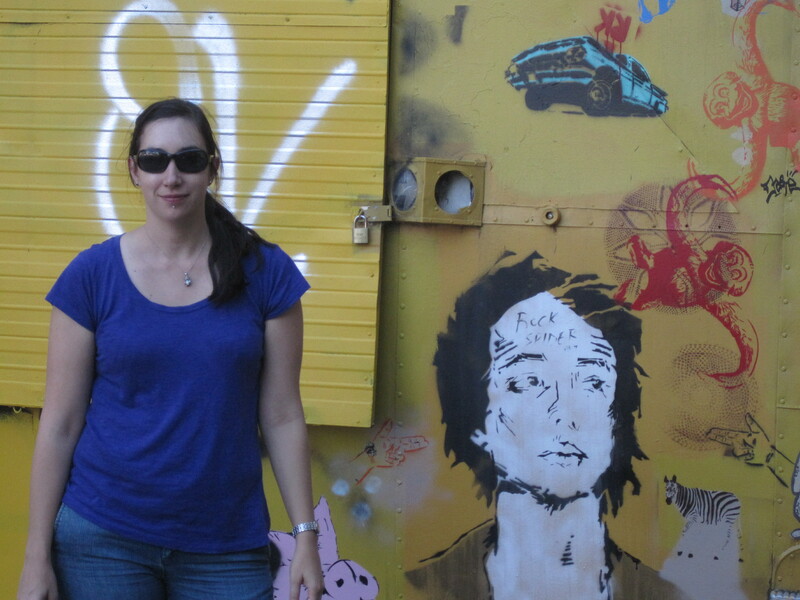 I am a Phd student at the Fenner School of Environment and Society at the Australian National University (ANU). 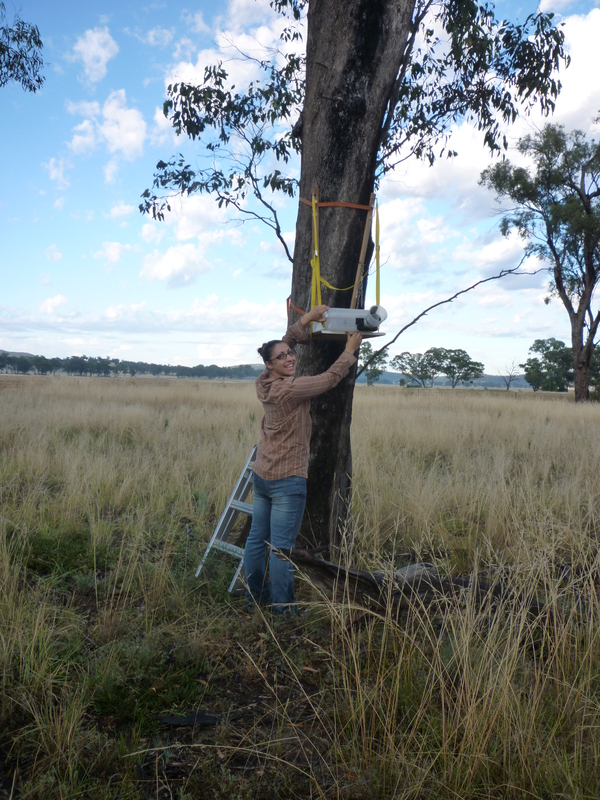 My Phd is on management of kangaroo grazing pressure for the conservation of biodiversity. It is somewhat of a controversial topic in the ACT, although in other parts of the world, like Europe and North America, management of native herbivores (i.e deer) for conservation, is commonly undertaken. Hopefully, with more science on the impacts of kangaroo overgrazing, management action will become more accepted. I consider myself extremely lucky to work in some of ACT beautiful grassland and woodland reserves looking for a multitude of critters, including reptiles, spiders and birds. Reptiles have been a surprise love since starting my research, especially our two species of legless lizards. Both these species are dependent on grass for food and shelter, so it would be a shame to see them lost from our reserves. I am hoping my research will help guide future management of grazing pressure in the ACT, with benefits to the multitude of species that call them home. I have lived in Canberra all my life, which some way consider a curse, but I love the place, especially all the open spaces and bushland. Pia Lentini is now a Postdoctoral Research Fellow with the University of Melbourne’s Quantitative & Applied Ecology Group. She joined ClearAs Blog during her PhD at the ANU’s Fenner School: this research centred around a large-scale network of roadside remnants (‘Travelling Stock Routes’) which cover some of Australia’s most intensively managed and extensively cleared agricultural regions. For this project, Pia worked with taxonomic groups starting with the letter ‘B’ – birds, bees, and bats. She is now continuing on with the microbat theme but in a completely different context: urban Melbourne. In general, her research interests lie in the ecology and mangement of wildlife that provide ecosystem services, and questions relating to surrogacy and adequacy in conservation planning for highly modified and fragmented landscapes. 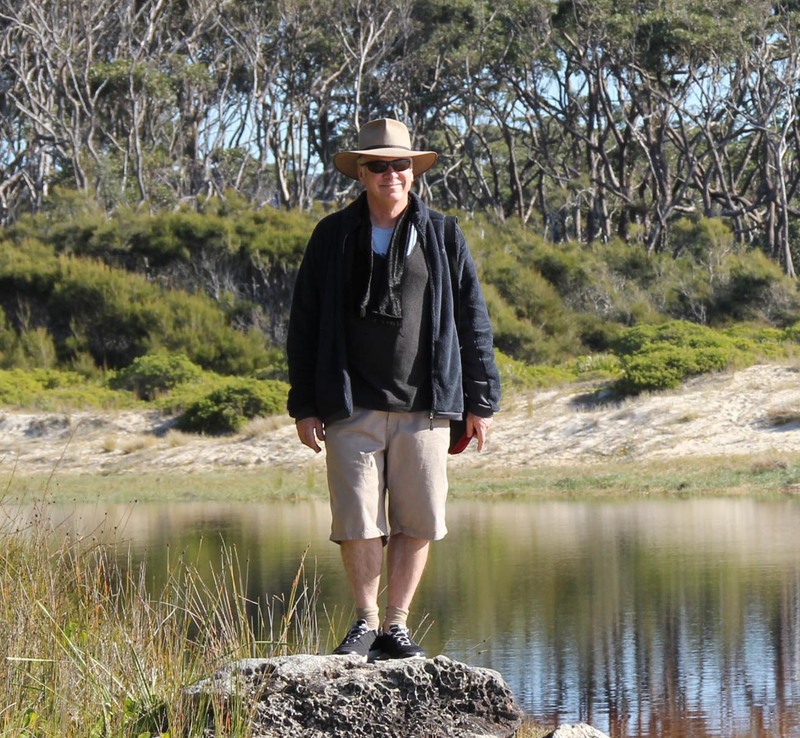 David Salt is a science writer based at the Fenner School of Environment and Society at ANU. He is the editor of Decision Point, the monthly magazine of the ARC Centre of Excellence for Environmental Decisions (or CEED). CEED is all about science for better decision making relating to the conservation of biodiversity. And, let’s face it, our decision making for biodiversity hasn’t been all that great up until now. David has been writing science for years (decades actually) but this is his first blog. Some describe him as an old salt, and, truth be told, most of the other bloggers in the CLEAR as blog are half his age. Therefore, it will be interesting to see how this old salt performs over time compared to the other youngens collected here. 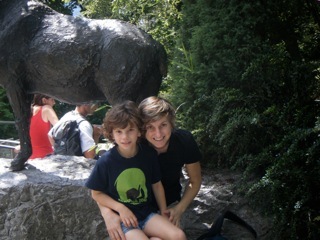 Karen Ikin (Stagoll) is based at the Fenner School of Environment and Society, ANU. Her research focuses on how to plan for, manage and conserve bird habitat in suburbs and at the urban fringe. This has given her an appreciation of the finer side of urban research – such as the ability to find a coffee and bakery within 10 minutes drive of most of her field sites! More specifically, Karen’s work has given her broader interests in wildlife ecology and management, environmental planning and design, and the importance of conservation in the places where people live and work.